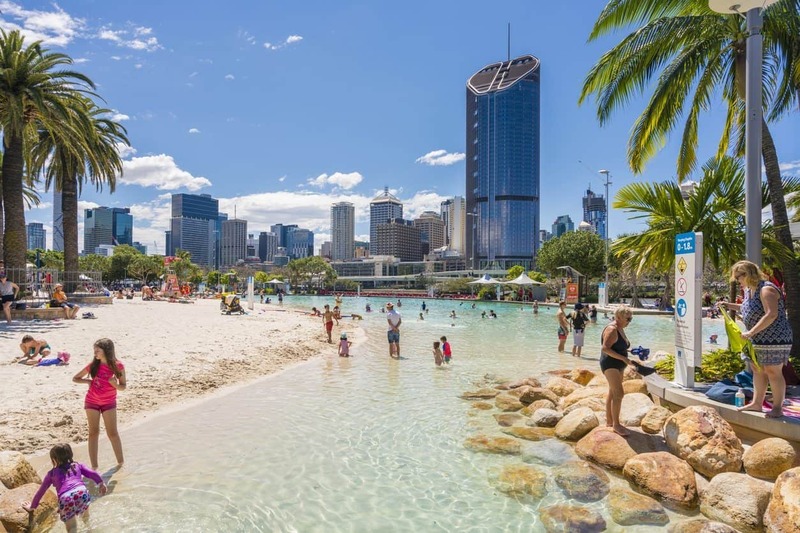 Brisbane is the thriving capital of Queensland and is one of the biggest cities in Australia, behind Sydney and Melbourne, its wide range of educational providers is a strong reflection of this city’s continuing development in becoming an international capital of the world. 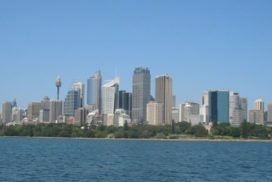 One of the most attractive reasons to study in Brisbane is that it offers a unique study experience. 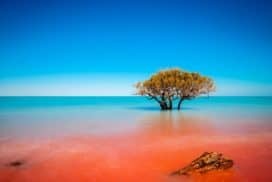 While you are located in a sophisticated big city, you are also surrounded by world heritage rainforests (Daintree Rainforest) and coral reefs (The Great Barrier Reef) only a few hours drive away. It is home to many world-class universities including: Griffith University; Queensland University of Technology; the University of Queensland. There are many vocational training providers including the Gold Coast Institute of TAFE and the Southbank Institute of TAFE. Brisbane is home to various English colleges for students wishing to learn advanced English skills for education, business or leisure related purposes. Colleges include: the Queensland College of English and the Hilton International College. Many institutions also offer innovative study tours. These are short-term academic learning tours focusing on education and cultural experiences in the following disciplines: English, tourism, business, hospitality and other vocations. Brisbane is a testament to modern living. It is a great place to enjoy a relaxed lifestyle, to work and to study in Brisbane. Brisbane is proud of its longstanding reputation as a great place to study. Prospective and current students also realise the attractiveness of Brisbane as a city in which to live, study and work. Brisbane is also a centre for the arts, culture and tourism. 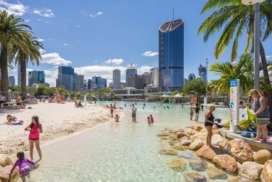 To study in Brisbane has never been so much fun with fantastic beaches to complement either study or work. Apart from the beautiful landscapes and unique country there are a variety of educational opportunities available to anyone wanting to study in Brisbane. Accredited English Language Schools (ELICOS) for international students. English Language Schools offer programs in English language training from 1 week to 1 year (or more), depending on the needs of students. Secondary school and/or tertiary study in Brisbane, gives international students a chance to experience a different culture in a flourishing multi-cultural city as well as gaining internationally recognised qualifications they can use to pursue further study in Brisbane or abroad. The teachers and lecturers are all university educated and as Brisbane is one of the most culturally diverse cities; the teachers have experience in helping students from different backgrounds. To be accepted into study in Brisbane at any educational institutions, students must prove their proficiency in the English language and have achieved at least a pass while studying in their own countries. Though it varies from each educational provider, students will generally need a minimum score in the IELTS English language proficiency test but please contact the preferred institution to check, specifically, what their English language requirements are. Why should you choose to study in Brisbane as an international student? In addition to the academic programs offered, many Institutes also offer a wide-range of sporting and cultural program for students. Sports racemes are customized to suit the seasonal weather of Queensland. Students are placed carefully within Australian house holds to ensure that their stay here is exceptional. If you’re considering commencing or continuing your study in Brisbane at an Australian educational institute in, AA Education Network are the people to contact. If you’re considering commencing or continuing your study in Brisbane at an Australian educational institute in, AA Education Network are the people to contact. They offer a comprehensive service, providing assistance and information to students of all ages and educational backgrounds. Once you’ve spoken with an Education Network representative, they will then choose a course for you based on your preferences and previous study. If English is your second language, paperwork can be tricky. Providing information on necessary visas. But their work doesn’t stop there. Once you’ve been offered a place at an Australian educational institution, AA Education Network can provide you will all the information you’ll need to make your transition into Aussie life a little smoother. Once you’ve arrived in Australia, you’ve still got your Education Network team behind you. Whether you want information about getting Australian awards recognised, are experiencing homesickness or culture shock, or just have a question you need answered, your team member is just an e-mail away. If all this sounds too good to be true, wait until you hear the best part – these services are provided at no cost to you. 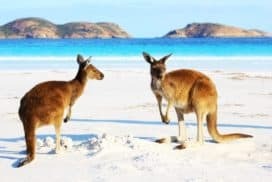 If you’re keen to experience life Down Under, but worry about all the hassle and red tape that normally accompanies such a move, contact AA Education Network immediately. The most you’ll have to do now is choose an area of study. Hundreds of minor international students come over to Brisbane to study in popular high schools. Hundreds of minor international students come over to Brisbane to study in popular high schools. Parents of such students can come over to the country and reside under Student Guardian visa as long as the student remains a minor. However, there are many responsibilities and expectations from the parents. 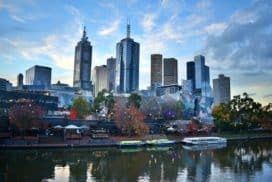 Here are some useful aspects one must check out before staying on as a foreigner in Australia with a child studying at a school in a social city, such as Brisbane. Many parents’ associations have come up in Queensland to address issues and concerns about international students who are not yet adults. Security, traveling, education, and similar issues are discussed and solutions are implemented with coordination from like-minded parents. Parents take part in fundraising events, functions in school and after-school hours, and training the kids in school in subjects such as numeracy and literature. Many parents associations help parents and school come together to enable the kids develop useful skills during vacations and enjoy a satiating camping session. In case parents are studying themselves, it is possible for them to enroll their dependent children to various state schools. The enrollment of the kids is done through Education Queensland International (EQI). Parents must look after the students and finance their education as well. 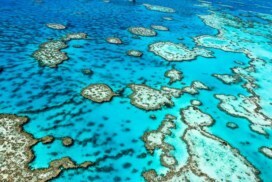 The parents as well as the kids must study in Queensland. Parents of international students are invited from time-to-time by various state schools, Catholic-managed schools, and private schools to help in various events. Apart from looking after their own kids, parents are asked to help in after – school hours, support services, such as in canteen, and community service. Few organizations help parents to voice their opinion through newsletters. The parents staying in Australia under Student Guardian visa can reside in the country as long as the student – under Student visa -- remains a minor. Some parents often engage themselves in a study program or a summer camp. Although, holders of Student Guardian visa can only study for 3 months (ELICOS excluded), there are options to participate in short camps in Brisbane. Music classes as short as 10 days are available during summers that invite parents and caregivers of international students to participate and learn. Early childhood music sessions allow parents to learn ways to teach music to children in the nascent years. Other classes include English learning programs, spoken English courses, and sessions on Business English. Parents taking up ELICOS courses can study for unlimited time during their stay in Australia. Write to our student adviser if you are a parent of an international student and looking for opportunities to study or volunteer in Brisbane. Technical and Further Education colleges (TAFE) can be an alternative path to universities in Australia. Study at TAFE in Brisbane, Technical and Further Education colleges (TAFE) can be an alternative path to universities in Australia. TAFE are college institutions that specialise, mainly, in vocational tertiary education courses such as hospitality, tourism and engineering amongst many others. These colleges are funded and run by the state or territory governments they operate in. Brisbane North Institute of TAFE: Is one of the biggest colleges with over 30,000 students spread out over five campuses. Southbank Institute of Technology: Has over 24,000 students enrolled in over 290 courses. Its two campuses are located in the centre of Brisbane. Metropolitan South Institute of TAFE: is a collection of regional and local TAFEs, and has over 400 courses taught across ten campuses. Bremer Institute of TAFE: Established in 1981, this TAFE is one of the oldest in Queensland and has more than 250 accredited courses from accountancy to youth work. SkillsTech: Focuses its training and qualifications in automotive, building and construction, electronics, engineering and manufacturing and sustainable technologies. There are over 1000 private education institutes across Australia and approximately 20 located in Brisbane. Brisbane also offers many independent/private education and training providers, these institutions all fall under the Australian Council for Private Education and Training (ACPET). The ACPET is the nationwide industry organisation for independent providers of education and training for Australian and international students. These include: higher education, vocational studies and English Language programmes. Brisbane city has one of the best public transport systems in Australia and as an international student studying in the southern state capital of Brisbane chances are you will use the public transport system on a regular basis. Although the fares for public transport in Queensland have gone up since 04/01/2010 by 40% this rise in fares has been offset by the introduction of Go-Cards. An innovation developed by the Queensland government to make public transport more affective in the south east corner of the state. The purpose of the Go-Card is to cut down on queues for people who use public transport particularly during the heavy peak periods between 7.30AM and 9.30AM in the morning and 3.00PM and 6.00PM in the afternoon. Because the transport system in Brisbane is made up of different zones and three (bus / ferry / train) different types of transport it has become expensive and cumbersome for many travelers in the south east. Having to buy different tickets for different zones and transport, but now with the Go-Card this is no longer an issue with one being purchased for all. How this works is by ‘clocking’ onto a bus, ferry or train and ‘clocking’ off when you leave that mode of transport. The Go-Card allows for three transfers during your journey and you save up to 30% on fares. The state of the art technology that the Queensland government developed allows passengers to do this with the assistance of an electronic device similar to a docking station in a factory that measure the time you clocked on, the distance you have gone and when you clock off. The Go-Card is paid for at most QR stations or many newsagents and can be topped up on line or by phone and if you use the Go-Card more than ten times in a one week period you save up to 50% on fares for that week starting Monday and ending Sunday. There will be 123 QR stations selling Go-Cards by the time university recommences and another 1000 retailers across the south east from Noosa in the north, Coolangatta on the Gold Coast and west to Helidon selling Go-Cards. So the system is comprehensive. And as a tertiary student in full time study you have the option of getting a Go-Card with a concession. 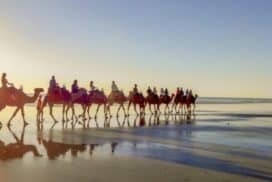 So if you are studying in Queensland and you do not have a vehicle then the Go-Card is the right option for any international student with the potential for good savings. How the Go-Card works is you purchase a Go-Card from a Go-Card agent or retailer for $5AU or more. 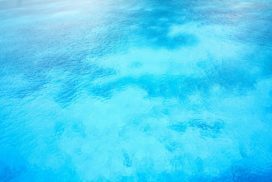 The initial $5 is a refundable deposit that you have to purchase initially so that you will always have the appropriate funds to finish your journey. And the rest of the money you put into your Go-Card is used as the funds for the buses, trains and ferries that you use and is deducted at the end of each journey.